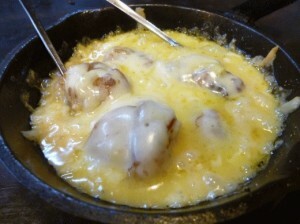 I had " Chicken cheese fondue " at the creative Japanese restaurant. At first, the simmerred cheese spread in my mouth. After I satisfied by the delicious chicken.